My Sponsorship is your place to keep in touch with your sponsored child. Send messages online and track when your letters and updates are sent. See all your photos and videos, together with the latest news from where they live. Log in to My Sponsorship to find out more about your sponsored child, how your donations are making a difference, and to keep in touch with one of our brand new easy to use letter writing templates. "It really helps me feel I can connect to our sponsor children. 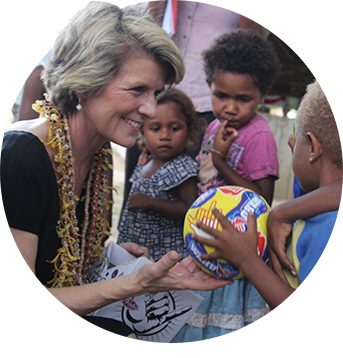 The ability to see videos from the communities and send letters and now photo-stories online when we want to has massively enhanced our sponsorship experience." Find out about where your child lives and how your sponsorship is helping their community to overcome the challenges they face. Discover how you can arrange a life-changing visit to meet your sponsored child in person. 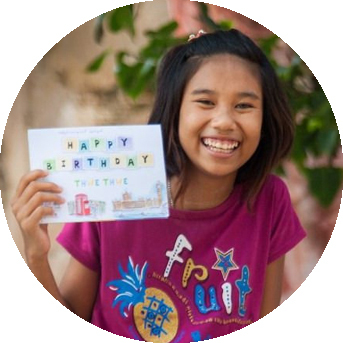 Create a special birthday card for your sponsored child. Read and share inspirational stories with fellow supporters. You are bound by the terms of conditions of My Sponsorship and the main World Vision website from the time you first register. 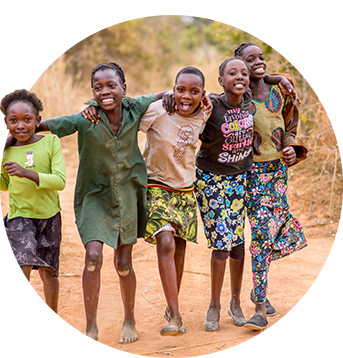 World Vision UK reserves the right to update or amend the terms and conditions from time to time by updating the terms and conditions section on the website. Your continued use of the website after any changes is taken as acceptance of the new terms. You agree to comply with the Child Protection Policy to safeguard the security and privacy of children in your use of the My Sponsorship site – especially with regard to receiving information about, and communicating with, your sponsored child. In order to protect the privacy of individuals featured on the World Vision website, please do not download or distribute photographs or stories from our website, without contacting us for permission to do so. Such activity may subject the user to legal action by World Vision. All images © World Vision UK unless otherwise stated. All rights reserved. Not to be used without express permission. The use of personal data provided by engaging on the World Vision UK website is subject to our Data Protection Policy. World Vision UK is a company limited by guarantee, registered no. 1675552. World Vision UK is a Registered Charity no. 285908, regulated by the Charities Commission.